As we all know that our prime minister Narendra Modi has a huge fan following not just in India but around the globe also. His fans always promotes him and appeals to people to vote for him in the upcoming Lok Sabha elections 2019. 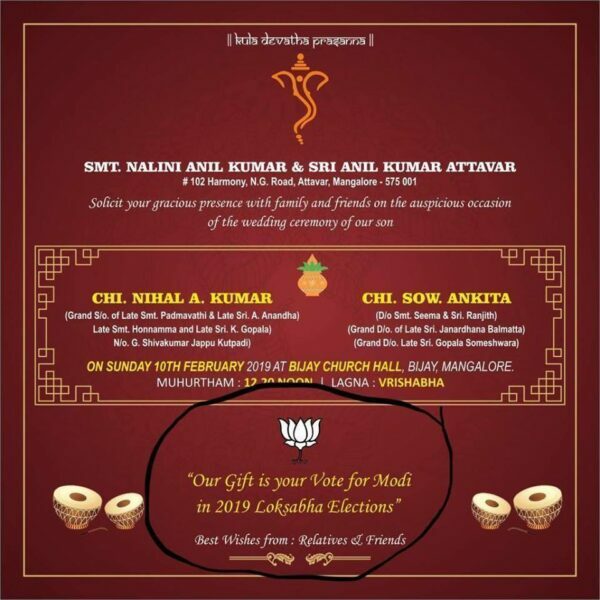 “Our gift is your vote for Modi in 2019 Lok Sabha elections”. 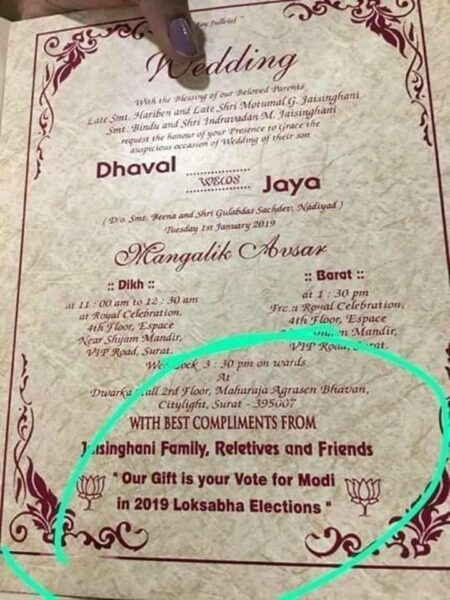 Here’s a wedding card with a similar message from a Mangalore based couple.